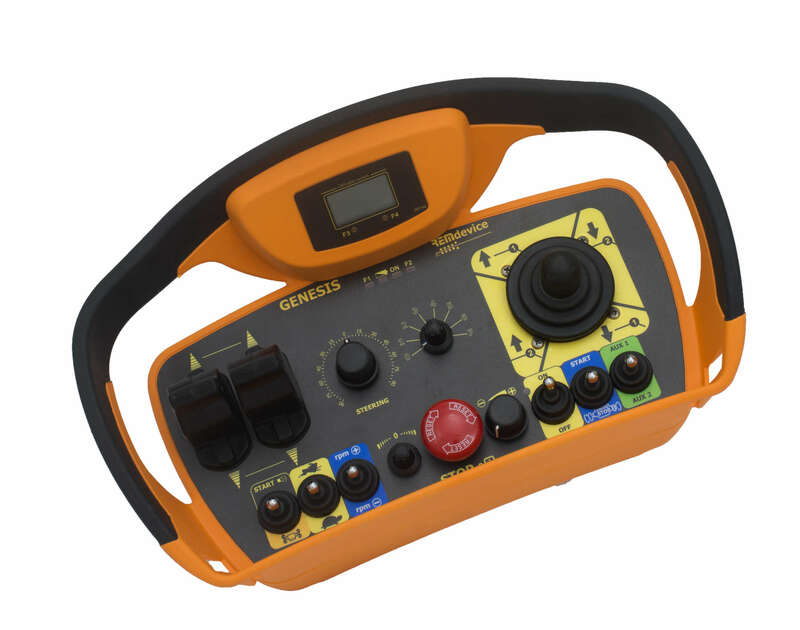 Springers line of industrial radio remote controls for cranes, hoists and other material handling equipment provides the movement flexibility that only wireless controls can provide. All come equipped with a continuous transmission system, unique identifying codes and a sophisticated digital system for checking transmitted data to provide the highest level of reliability and safety for the operator and the equipment. 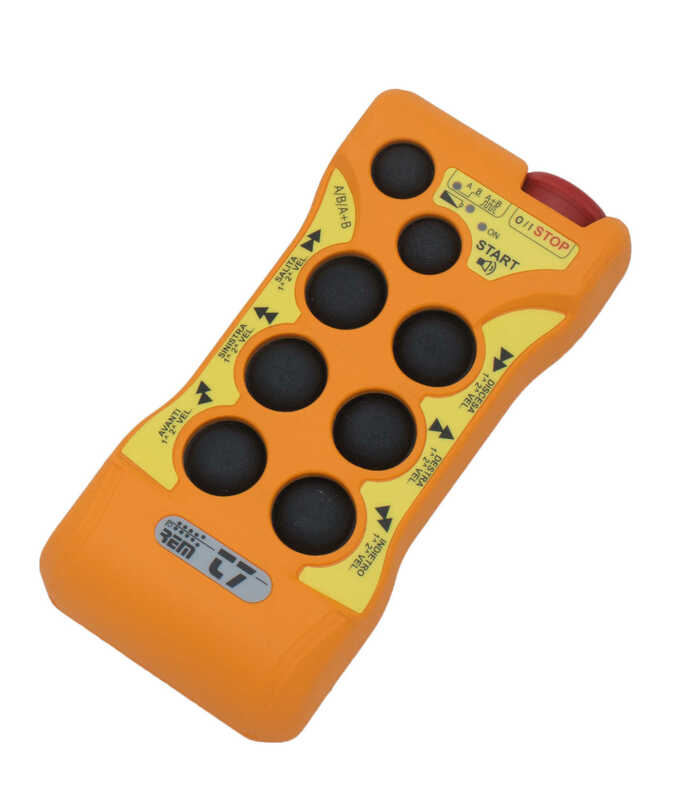 Designed with lifting machines like bridge and tower cranes in mind, as an alternative to the wired control pendants, the radio remote controls can be customized in the field or at the factory for a wide range of applications where wireless remote controls are desirable. Rugged nylon housings with water proof and dust proof design, and extreme temperature resistance allow our radio remote controls to withstand the harshest operating conditions while maintaining reliability. The T series of radio remote controls is designed for simple, lightweight reliable control. Available in 3 different versions, with either 3, 5 or 7 actuators, in addition to the start and e-stop included with each unit. 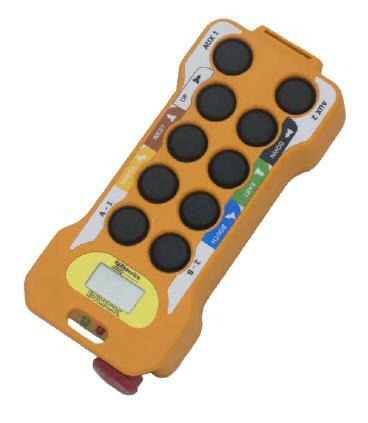 The Brick radio remote control can be equipped with 9-12 actuators in addition to the included start and e-stop buttons. 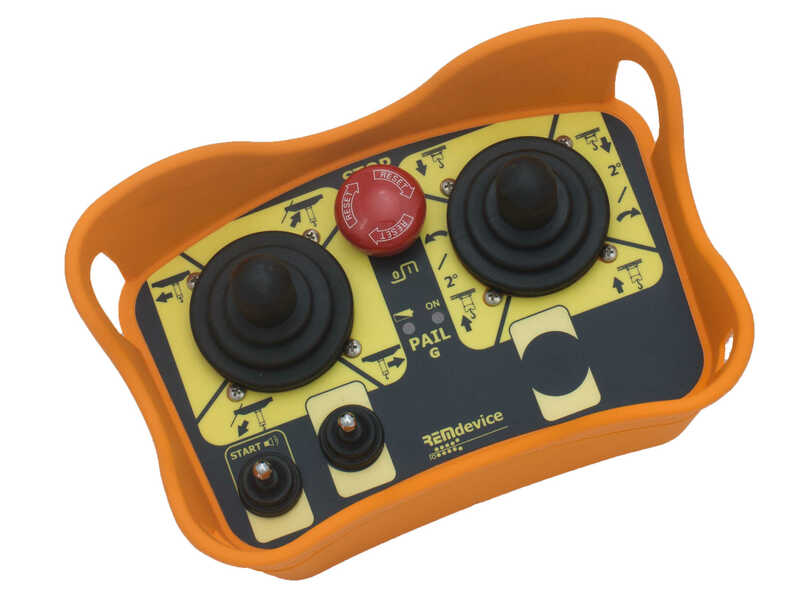 The Pail radio remote control is a joystick equipped bellybox that comes in standard versions for cranes and bridge cranes, but can also be customized for unique applications. The Genesis radio remote control is the most advanced and flexible transmitter available. Equipped with the universal "Move" platform, the possibilities with the Genesis are endless.